bookbub deal of the day! The Faking It to Making It ebook is Bookbub's deal of the day! What’s worse than a plus-one dilemma? Nate needs a fake girlfriend for his friend’s wedding. Saskia Bloom needs to do dating research for her job. Can this pair pull off the perfect lie — or will their real-world attraction get in the way? Yet to "Like" the KISS & TEMPT Facebook page? Well now's your chance! 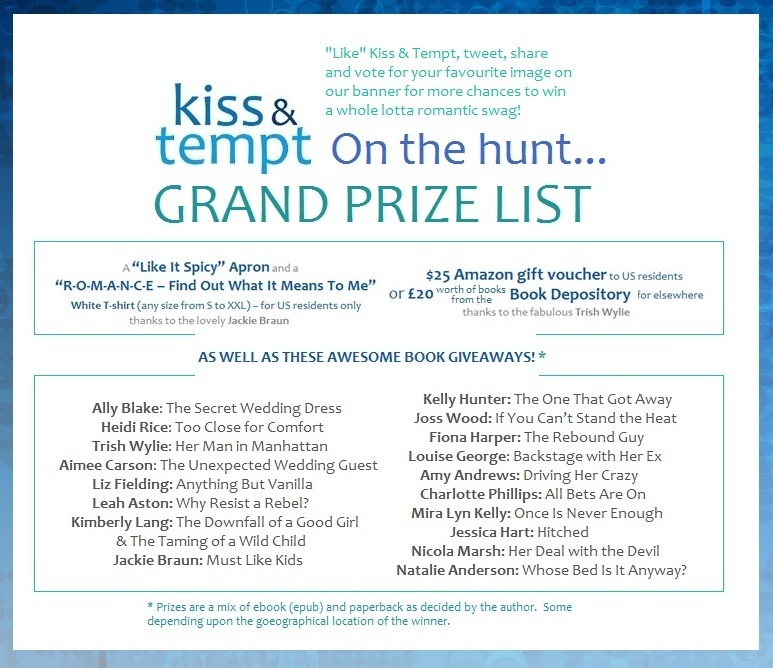 KISS & TEMPT belongs to a huge group of romance authors, so expect fun, sass, news, reviews and, yep, the occasional awesome giveaway. If that isn't temptation enough, a brand new comp started today whereby you vote for your favourite image to go on the KISS & TEMPT Facebook banner to be in with a chance to win an amaaaazing collection of prizes, including a book voucher, cool romancey apron and T, and 19 - yes count 'em 19 - Harlequin Kiss and Modern Temped books! So check out the page, vote for your fave image, and enter the contest here. Good luck! It's always a big deal for me, picking the right car for my hero and heroine. Sometimes they are in jokes - cars my family have owned over the years (such as the red mini with the white roof my heroine drove in GETTING DOWN TO BUSINESS, or Harry the vintage Holden the heroine drove in MARRIAGE MAKE-OVER). But mostly it comes down to the fact that I'm a closet metal head. 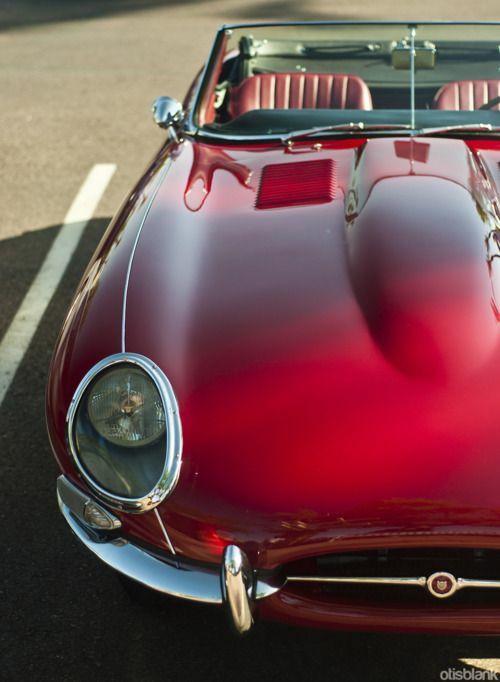 That I have imaginings of one day owning my own grunty red Firebird like Pippa in WHEN HONEY GOT MARRIED... Or the elegant black Jag XJS like Danny in MILLIONAIRE TO THE RESCUE. But mostly they give me the excuse to search Pinterest for wheels that make me drool. 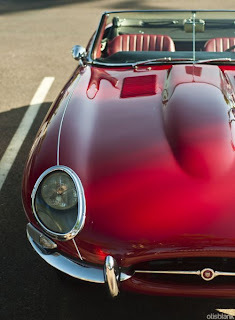 Here's Nate's car in my current Harlequin KISS release, FAKING IT TO MAKING IT. Puuuurty, huh? where have I seen that hero before? Did you know that Nate from FAKING IT TO MAKING IT has graced the insides of a book before? Well he has! Nate Mackenzie is the best mate and business partner of the hero in my last Harlequin Kiss novel THE SECRET WEDDING DRESS. Grab THE SECRET WEDDING DRESS in paperback or ebook today to meet Nate, and see how big bad Gabe Hamilton was brought to his knees by love! tom hardy, and...well that's enough really! Just thought I'd share a couple of pictures that served me well during the writing of FAKING IT TO MAKING IT (out now worldwide). When Saskia first spies our boy its from his profile on an online dating website. And honestly, if you had this looking back at you, how could you resist?! For more inspirational pictures of Tom Hardy and other lovely things - check out my FAKING IT TO MAKING IT Pinterest page. Or if this is quite enough to get you in the mood here's how to buy the book ;). As a part of the super fun Six Sentence Sunday, here are a random six sentences as taken from my latest Harlequin KISS novel FAKING IT TO MAKING IT. Take it away Saskia and Nate! A smile hooked the corner of her lips, soft pink and warm. “All of the above. They taste better warm. Like nuts. Witchetty grubs, I mean. Not Hobbits,” she corrected. For weekly #KISSkiss cards - scrumptious little snack-sized bites of the story - follow my Facebook page! Faking it To Making It ebook only $1.99! A quick heads up that the ebook of my brand new book - FAKING IT TO MAKING IT - is only $1.99 on the Harlequin website! Not sure how long this awesome price will last, so grab the epub today! Out today, world-wide, comes FAKING IT TO MAKING IT! Natural born charmer, Nate Mackenzie, is in the middle of a plus-one dilemma. Wedding dates inevitably take one look at the bride and measure Nate for a beach house, a chocolate Lab and a diamond solitaire. Worse, going stag will leave him at the mercy of a set-up by his ever-hopeful sisters. Enter Saskia Bloom - a bohemian beauty researching online dating. She already has a house (ramshackle), and a dog (rescued), and an ex who turned commitment into a four letter word. And since there's no shortage of sexual attraction between them he’ll give her all the data she’ll ever need! But when the fake affair starts to feel real, will they even make it to the wedding? Or can they beat the odds and make it happily ever after. Don't forget to follow my Facebook page for weekly #KISSkiss cards - scrumptious little snack-sized bites of the story.